✻ P O L I S H E D S T O N E P I L L O W S ✻ LABRADORITE~ Excellent quality Labradorite. 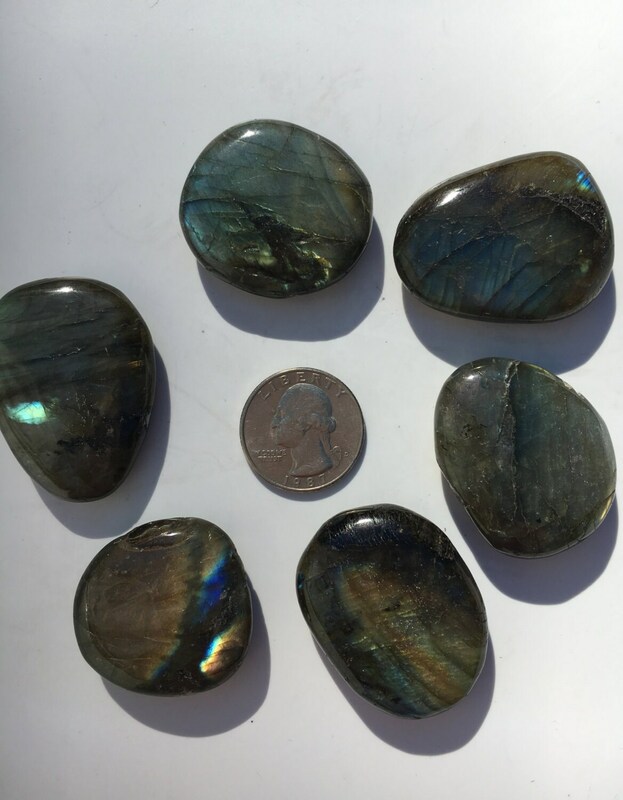 Labradorite found in Madagascar. This sphere has a number of beautiful iridescent patches that become more noticeable when it hits the right light or angle. D i m e n s i o n s: Refer to picture, compared to USD Quarter.